Home / Love and Hip Hop ATL / Joseline Hernandez & Stevie J Are Married? 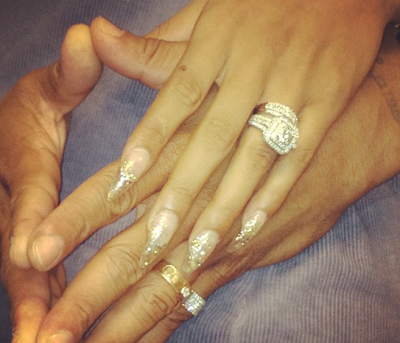 Joseline Hernandez & Stevie J Are Married? Love & Hip Hop Atlanta's Stevie J. and Joseline Hernandez stopped by Kandi Koated nights yesterday and the couple was sporting some Jared's wedding bands! Did these two cockadoo's actually tie the knot or are they desperate for more attention? Damn them nails to hell! Anywho, I really don't think Stevie will ever get married and he definitely ain't putting a ring on nobodies Joseline Hernandez. 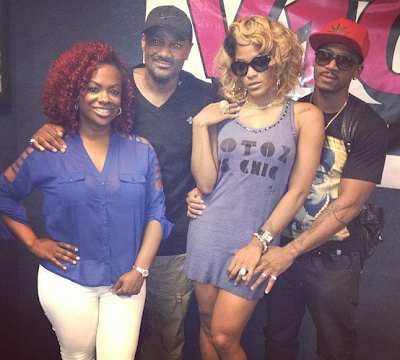 My guess is this is just a ploy to garner some attention for Joseline's music career. Smh. It's a sad day when a chick is pretending to be married to Steebie and his throwback community peen. What do you think of Joseline and Stevie's wedding bands?